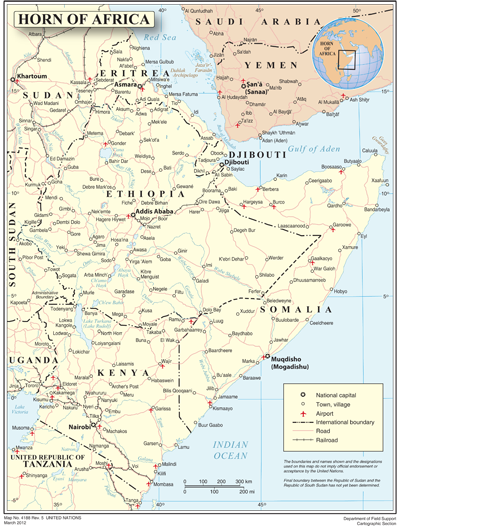 The United States is getting more involved in Somalia, the nation in the Horn of Africa that has been wrestling with violent conflict and political instability for nearly three decades. Earlier this month, Kenya suspended the licenses of 13 Somali money transfer agencies operating in Nairobi in a bid to limit funding to al-Shabab militants. In an email interview, Sarah Hearn, CIC associate director and senior fellow, discussed the role of remittances in Somalia’s economy. In July, Addis Ababa will host a crucial summit on financing for development. If September’s summit on sustainable development goals (SDGs) in New York is when governments will decide what they want to achieve on poverty and sustainability by 2030, Addis is where they must set out how they will do so. Read the full Guardian article Who's going to cough up the cash to meet global poverty targets? On October 23rd, the NYU Center on International Cooperation hosted a launch of A Poisonous Thorn in Our Hearts: Sudan and South Sudan’s Bitter and Incomplete Divorce with author James Copnall. 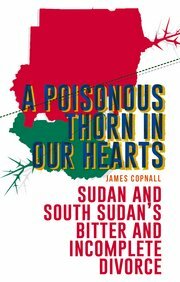 A Poisonous Thorn in Our Hearts is the first book focusing entirely on Sudan and South Sudan after the 2011 separation. UN secretary general prepares to welcome more than 140 heads of state to organisation's general assembly this week. Over the course of the next month, CIC is looking at the Somali New Deal Compact and discussing how its development and implementation have impacted its effectiveness as a peacebuilding framework. This post is third in a series. Over the course of the next month, CIC is looking at the Somali New Deal Compact and discussing how its development and implementation have impacted its effectiveness as a peacebuilding framework. This post is second in a series. The first was on the Somali New Deal Compact’s implementation to date.